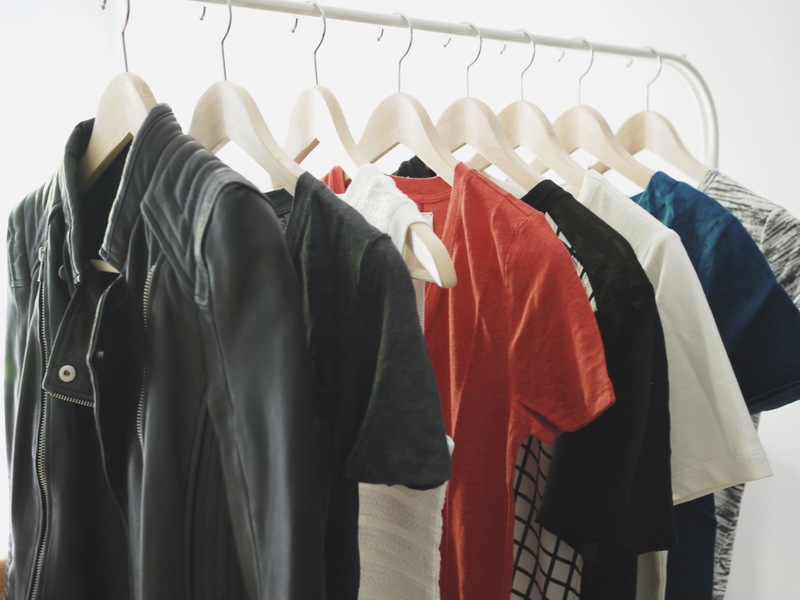 Because of my recent move and the uncertainty of where I will be for the next few months, I’ve been postponing this capsule wardrobe post for so long that I decided to consolidate my spring and summer capsule wardrobe. For this spring and summer, I’m pulling out some of the pieces I got last year when I first moved up to DC and mixing in with a few new additions! Today I’m going to run you though the list of how many items I have for each category and a brief description. During the spring time in DC it can get ridiculously hot and humid during the day but chill at night. I find the best solution to this is lighter long sleeves or short sleeves with another layer over it. 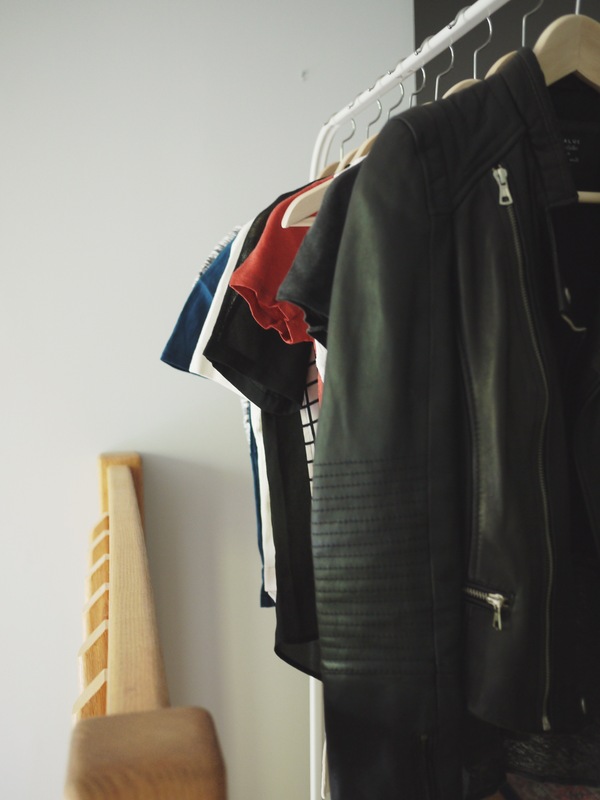 I’m pulling out some of my lighter fall pieces to add to the mix as I think they work really well for my style, and I’m also adding a few basic short sleeves for the summer months because it’s one of the things I’m really lacking in my wardrobe. I love comfortable, loose fitting cardigans for spring and summer. Last year I wore this cardigan to pieces and am planning on bringing it out again for this season. 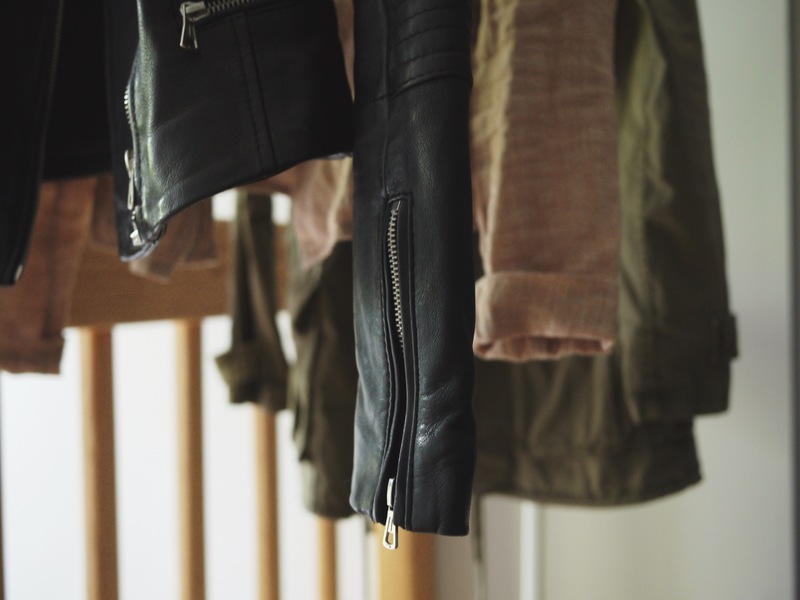 I’m also adding in my brown faux leather jacket that I have forgotten about, a light weight pink Lou & Grey moto jacket from last season, the Aritzia Trooper I got on Poshmark and the Zara leather jacket I’ve been pining over for months for the spring part of the capsule wardrobe. I’m not a big dress gal as I find them slightly inconvenient when I want to put my leg up or sit indian style at my desk at work. 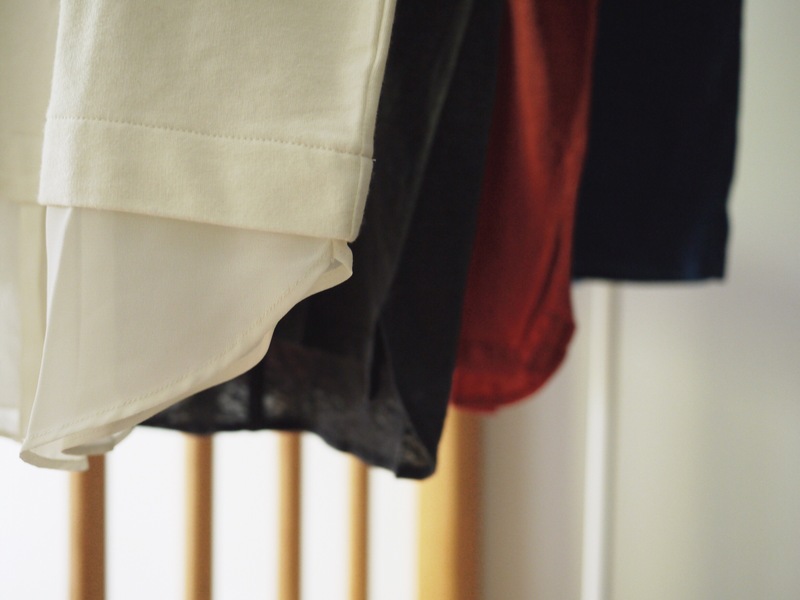 I do really like the effortless but put together layer look they give when you pair it with sweaters, cardigans, tees or jackets, but they’re just something I don’t reach for as much as I should. I’m keeping my dress count to a minimal to see if I’ll actually wear them and help get an idea of what I should do in the future when it comes to dress shopping. I’m not really adding anything new here, just my Loft jeans and ASOS midi skirt from last fall and my Madewell jeans from the winter. I am however considering getting a pair of ripped boyfriend jeans or shorts for the weekends where I want to be comfortable but still stylish and not sloppy. 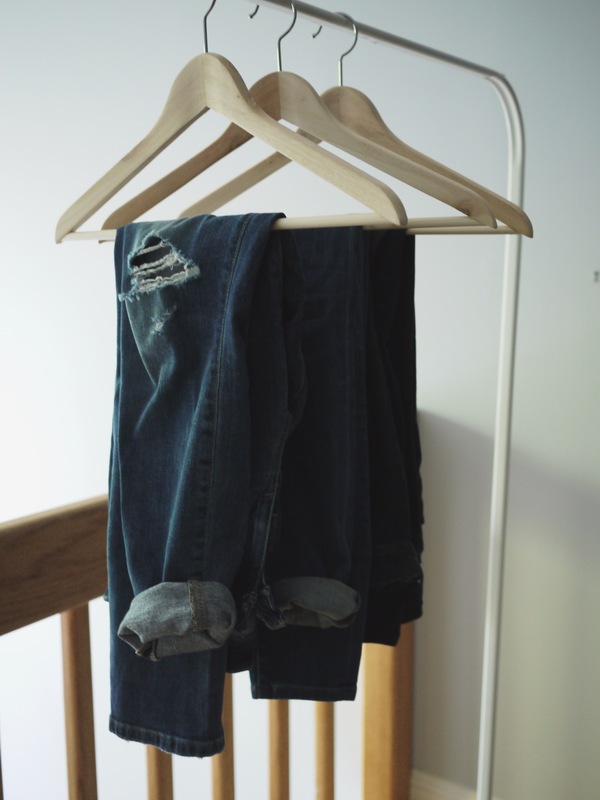 And of course there will be some swapping out when it gets warmer in the summer, replacing a few pair of jeans with shorts or lighter weight pants from storage. The one thing that makes me sad about the weather getting warmer is that I will not be able to wear boots as much… I have a few pair of flats but they’re kind of old and worn out, I haven’t been able to find new ones that I love and are comfortable yet so I will continue to wear them till I do. I did however find some sandals that I think will be getting some seriously love this spring and summer! So for now on the closed toe shoes department I’m sticking with the old flats and slip-ons I already have and my Nike Free.